日本語能力試験、バンコクからのレポートです！The JLPT Report from Bangkok ! Hi everyone, this is Goo-Noo from Tokyo!! The Japanese Language Proficiency Test(JLPT) was conducted on Sunday December 2nd, 2012 in 201cities of 61 countries/regions abroad , and in 42 prefectures in Japan. This time, about 356,000 people registered for it and from this test, Israel and Iran joined as new test sites. It is such a great thing that such a big number of people took the test! 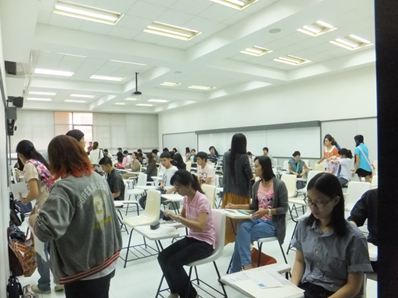 So, I will report you today how the JLPT in Bangkok was. 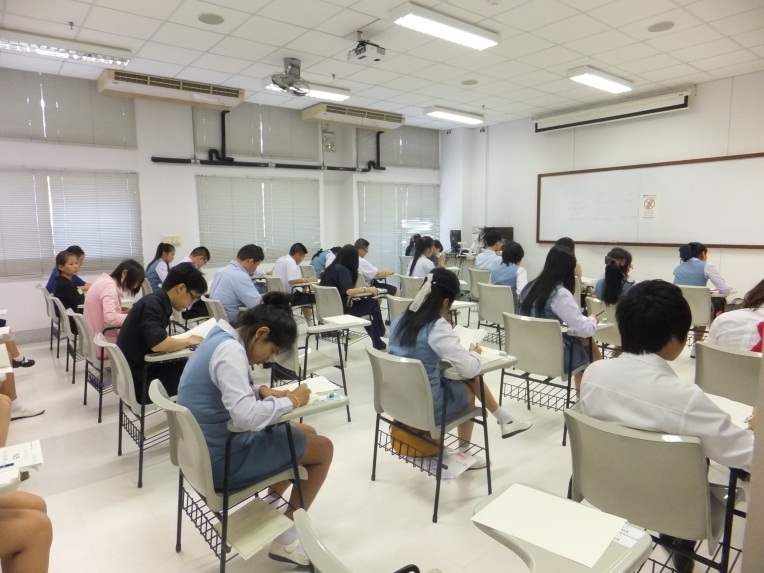 In Thai, the December test takes place in four cities: Bangkok, Chiang Mai, Kohn Kaen and Songkhla. 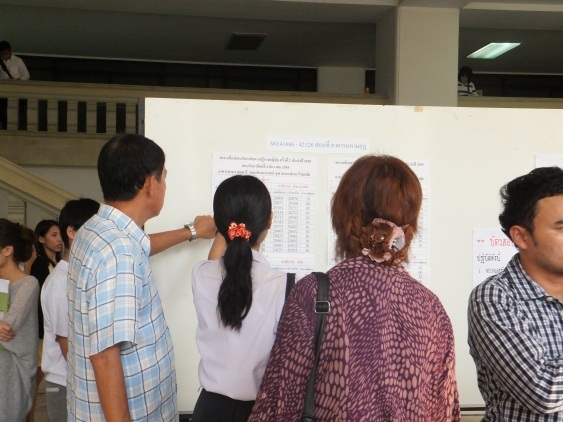 More than 11,000 people registered for the test in Thai, most of them in Bangkok. 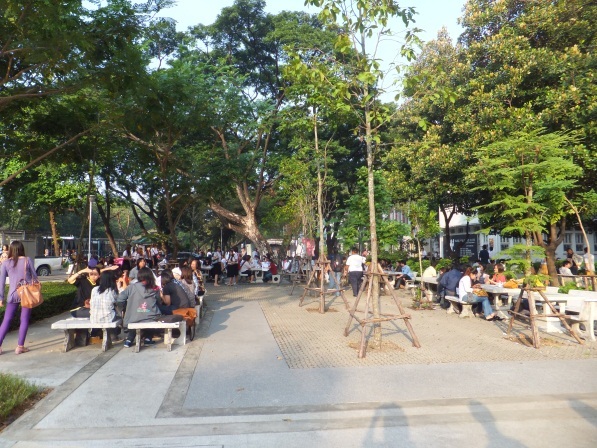 Where in Bangkok are such many people taking test at? 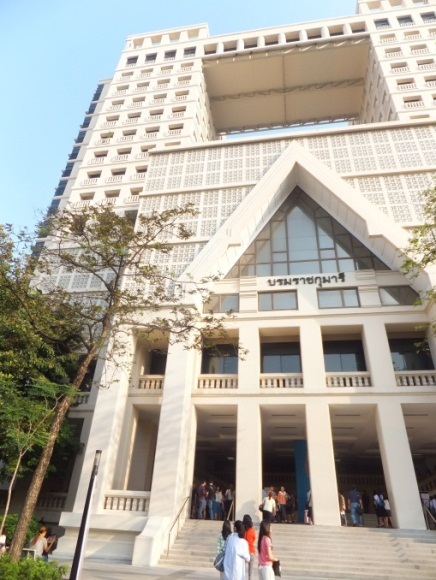 Well, it is Chulalongkorn University, the oldest and the most prestigious institution in Thai. 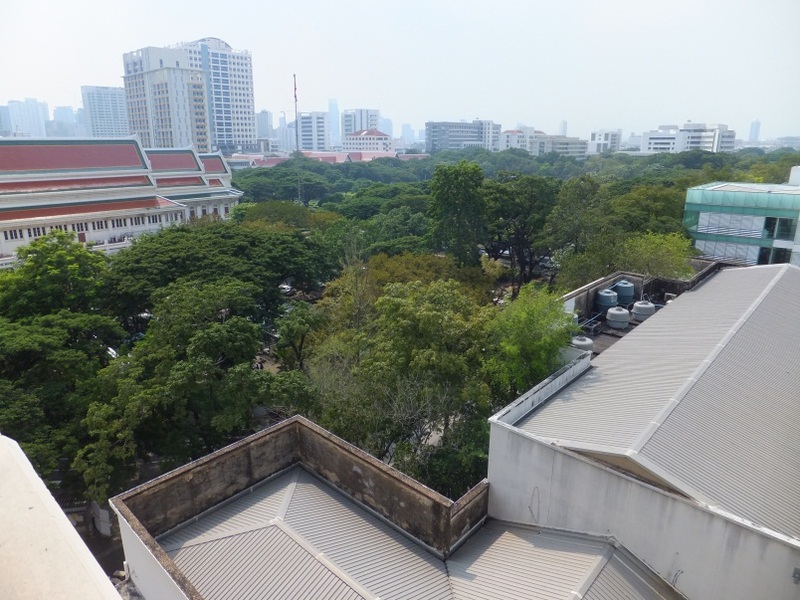 It is located in the heart of Bangkok, just few walk from Siam which is like Shibuya of Bangkok. The green campus with good location makes it a very preferred site for a test like this. 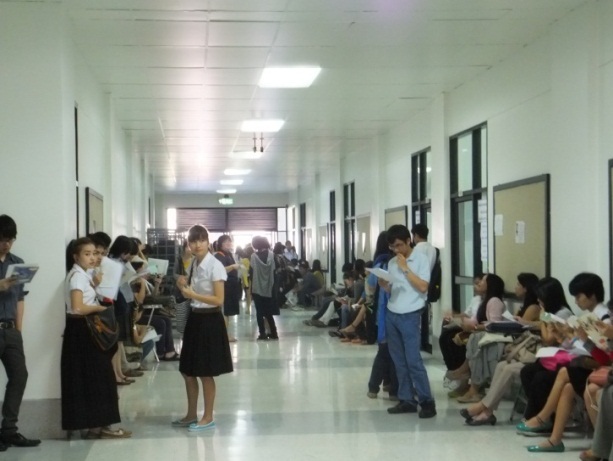 Access to the university might not be so good for those coming from outside Bangkok. Some of them might travel for good long hours on a bus, and some may have to come on Saturday and stay a night. Fortunately, it was a clear blue sky on the day. Weather somewhat reminds of the rainy season in Japan, very humid and hot. But the test rooms were all well air-conditioned. (Some might find it too cold without long sleeves!) The campus is huge, and it takes about 10 minutes from one campus to another by walk. Below is a picture of one of the three buildings on campus where the test rooms are. In front of the buildings is a terrace, where the examinees were making the final check, with big supports, their family surrounding them. Near the entrance of the buildings, the applicants were checking their test room. Here, you can buy stationery for 20 Bahts, about 50 Japanese yen. Well it looked pretty pricy, so don’t forget your stationery and of course, your ID and the test voucher!! Now let’s look at inside the building. Here you can see people waiting outside their rooms for time to come, still their texts open for a final cram! Now here we come! ! They are in the room! So, those of you who took it, how did it go? You will get your score report (and if you pass, with the certificate) around the beginning of March. Also we started online score display from this year, so you can check your result online around beginning of February at our official website.（http://www.jlpt.jp） Please do not miss it ! 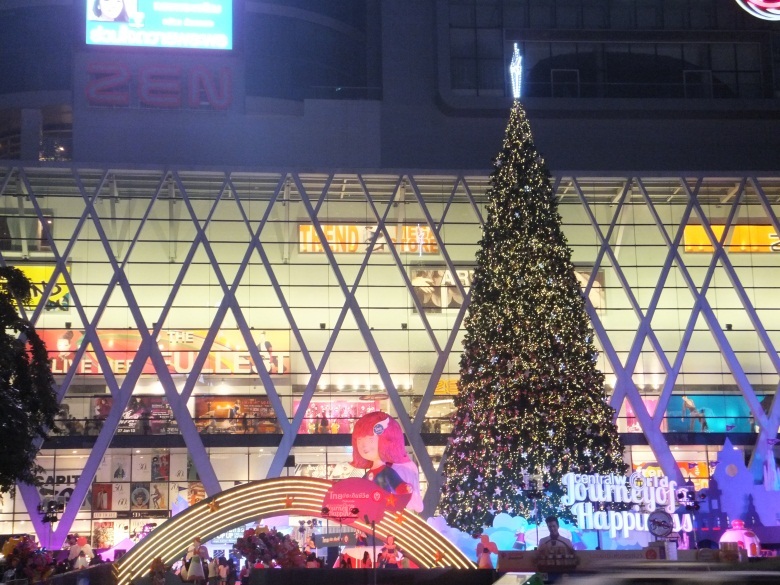 In Bangkok too, you can feel that Christmas is coming !! The King’s birthday was on December 5th, so together with Christmas, the whole town was in the mood of a full celebration!